I LOVE this group! 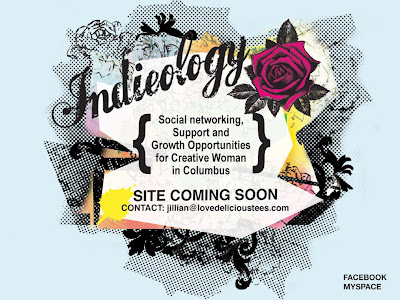 For crafty Columbus Gals you have yet another inspiring group to hang out with once a month. With careers, small indi business' to run, kids to raise, homes to clean...life can feel a bit isolating in the creative mind of a crafty gal. Check out this group as well as the Crafty Cotillion noted below and meet the local woman who keep our indi scene inspired!